Just over a year ago we bought a farm and, wow, what a year it has been! Having spent my entire life in and around cities, this was a huge change for me and my family. Inspired by Melinda's upcycled children's book, I decided it would be fun to document some of the farm animals we have acquired over the past year in an upcycled children's book. Although my kids are beyond the board book years, I thought a it would still be fun to create a mini album patterned after a children's book. And wouldn't ya know, at 7 and 9 years old, they still got a big kick out of it! I dolled up the cover with a hand-cut barn and the cutest little turkey from the Happy Harvest collection. 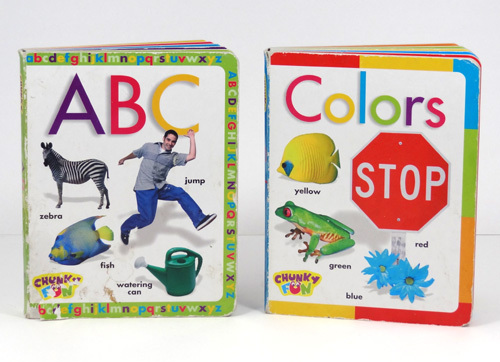 This is what the board book looked like before I added a bunch of pretty paper and farm animal pictures. To cover the pages, I simply cut paper the size of each page and adhered it with a permanent tape runner. Easy as pie. Because this book is still a mini album, I put the names of each animal on the same page as their picture. I imagine there will be many farm critters over the years so it is fun to remember what we named them in 2013. Looks like we will have to get a bit more creative with the ducks. Freebie! 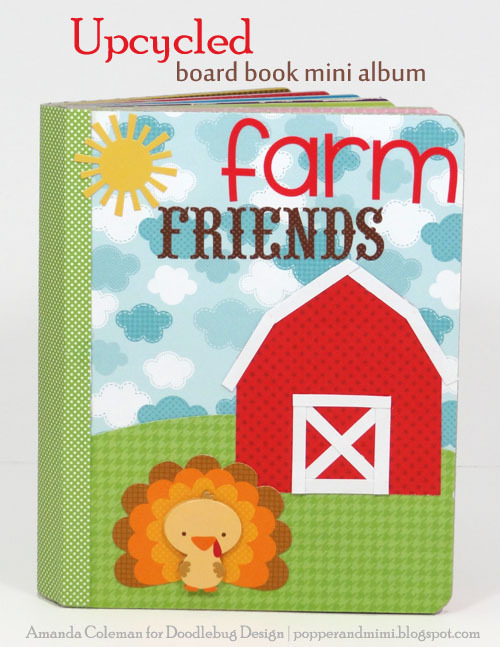 Interested in creating a farm animal board book of your own? Head over to THIS POST on my blog where you can download these farm animal photos for free. What a cute idea! When my son outgrows his board books this would be a great idea!